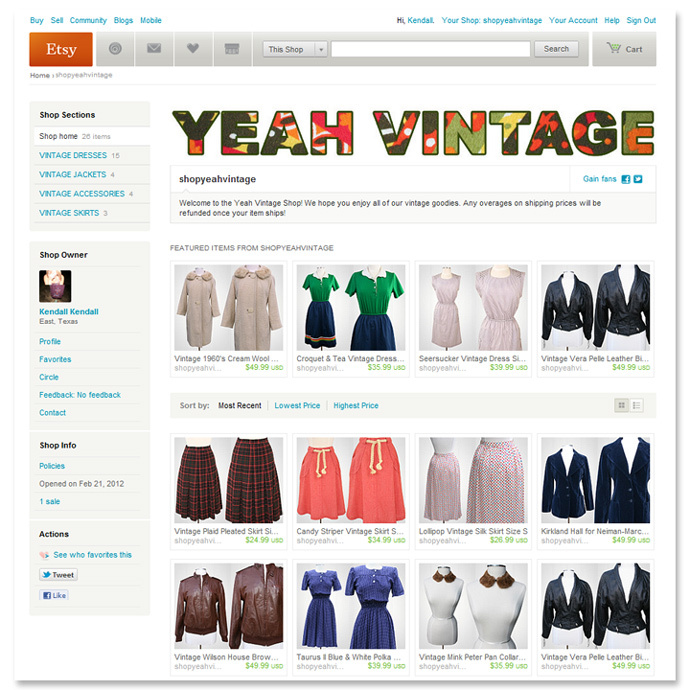 Just wanted to let everyone know that Yeah Vintage is now on Etsy under the shop name ShopYeahVintage! All of our goodies will be listed on our official website as well as Etsy...but our free shipping promotion is only available at our official website. So hurry on up and get you some vintage summer duds!